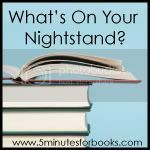 It's Nightstand time at 5 Minutes for Books!!! And like many of you who are also participating in Katrina's Fall Into Reading Challenge at Callapidder Days, I've already stated my main reading goals for the fall. For September I had said I wanted to read the following . . .
Professionalizing Motherhood. I read it and it's linked to my review. Overall, I was not very impressed or moved. The Man in the Iron Mask . I was supposed to have read this in conjunction with Sarah at Library Hospital during the month of August. She read it and I didn't. However, I did start it! I'm about halfway through. (I was sidetracked by Horten's Miraculous Mechanisms which Jennifer and Amy both recommended with very good reason. Then I read the sequel. I now need to get back to MitIM. I also planned on reading Pursuing Peace and did so. (Linked to my review.) I recommend it, generically, to Christian humans everywhere. As for my specific goals for the month of October . . .
Uncle Tom's Cabin , which was selected by Barbara at Stray Thoughts for the Reading to Know book club. Marvel Comics: The Untold Story which is due to be released at the first of October. I'll be reviewing that one at 5 Minutes for Books so you'll have to look for it there. 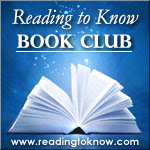 As usual, when the review pops up over at 5 Minutes for Books, I'll mention it on my (Reading to Know) Facebook Page. 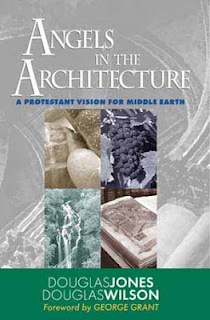 Angels in the Architecture: A Protestant Vision for Middle Earth which is a must re-read for me (and it's also on my FiR Reading Challenge list). Lastly, *drum roll please* . . . Harry Potter and the Sorcerer's Stone ! I have tried to successfully wait until I truly was the very last person on earth to read this series before I did so. Jonathan and I have only ever read the first one - years ago - and both of us are kind of curious about the series so we're going to read through it alongside one another and watch the movies. At least, we probably will. It's a loosely stated and held to goal. (We also just recently watched the first three Pirates of the Caribbean movies for the first time. We liked the first one, didn't like the second or third and are waiting to see the fourth.) Eventually Sometimes On rare occassions we'll take the time to catch up with whatever is popular. 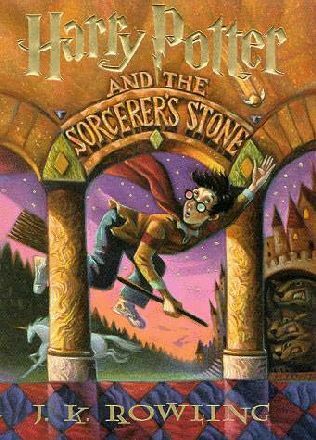 Anyway, Potter Fans shouldn't hold their breath while waiting for us to catch up but they can perhaps smile a bit that we have finally come the conclusion to give it all a shot. Hmm? Now. What's on YOUR nightstand this month!!? I'm off to find out (if you're linked up to 5M4B that is!) If you aren't linked up, I'm always happy to hear about what you are reading in the comment section here below. Well, you won't be the last person to read Harry Potter--I will! I will be joining in reading Uncle Tom's Cabin since my son is currently reading it and I want to be able to discuss it with him. My husband still hasn't read/listened to any of the Harry Potter books.And I didn't until a year ago. So you're not totally last, but close :-) The series gets better as it goes on. After I finished it though, I felt like I needed to start all over. But I'm resisting the urge. Oh, for more time. Enjoy! I'll be interested to hear what you think of Harry! I haven't read the books or seen the films. I agree about the POTC films. Sounds like a good month of reading ahead! Uncle Tom's Cabin is a really good read - I hope you enjoy it. I'm laughing about reading books after the hubbub has died down. I do the same - I just read the Harry Potter series last year. I really need to read those Horten's books. I convinced my husband (a non-reader, mostly due to dyslexia) to finally read Harry Potter so he's right there with you. I hope you enjoy Man in the Iron Mask! I love Dumas' writing and STILL have not yet picked up the second in that series. Maybe I should have added that into the Fall into Reading challenge! And nope, you're still not the last person to read HP. I haven't read any of them other than an excerpt of the first book back when it was published. I wasn't impressed with the writing, unfortunately. Hopefully it improves over the series. Everyone stop telling Carrie you haven't read Harry Potter. She might wait even longer! hahaha! I'm VERY intrigued by the thought of a Harry Potter review from you, Carrie. Clearly, you know me well. @Carrie - You crack me up!